The Google Hangouts app, available for both iOS and Android smartphones and mobile devices, is easy to install and use for free voice and video calling and video conferencing. It's available for Windows and Mac desktop and laptop computers as well, so it synchronizes across all your devices. You can even use Hangouts for texting. Google Hangouts runs on all modern iOS and Android smartphones. Download the app from Google Play or the Apple App Store. You need an internet connection on your device, preferably a high-speed Wi-Fi connection for the best voice and video quality. In fact, the video call feature requires a speed of at least 1Mbps for a one-to-one conversation. Of course, you can use a cellular connection as well, but bear in mind that you can run up data charges if you don't have an unlimited data plan on your smartphone. Once you've downloaded the app, simply log in to your Google account. This lets you use the app at any time without logging in again. Open the app and tap +. Choose the contact(s) you want to invite to your Hangout. If you have your contacts sorted into groups, you can choose a group. In the screen that opens, tap the video icon at the top of the screen to initiate a one-to-one or group video call, or the phone receiver icon to begin a voice call. Send messages from the bottom of the screen. You can use emojis in much the same way as you would any texting app. Messages are sent and received instantly, in real time, between two users or among a whole group. As the electronic communication landscape continues to evolve, Google is attempting to streamline its notoriously confusing and numerous communication offerings. 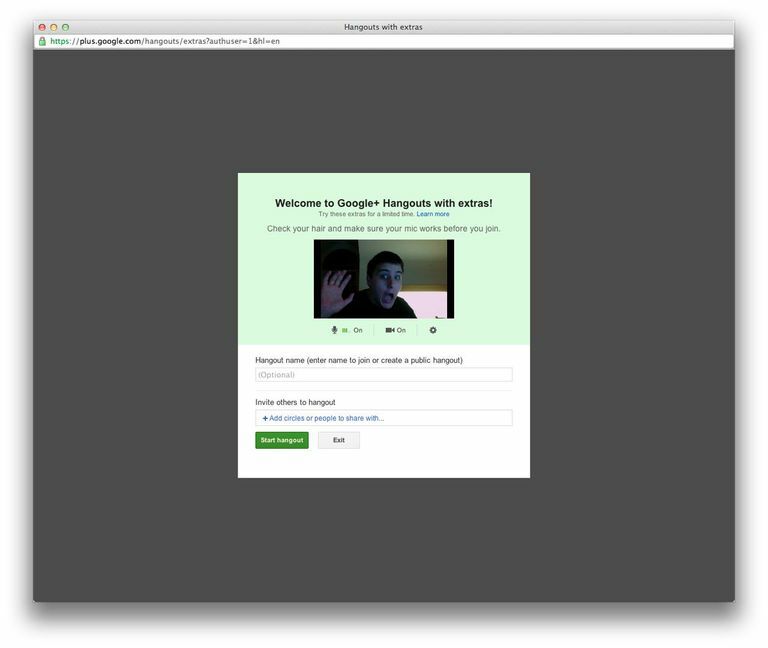 As a result, Hangouts replaced Google Talk and integrates with Google Voice in an interface that's accessible right from within Gmail on computers and tablets, and through a dedicated app on smartphones. Unlike Apple's Messages app, Hangouts is platform-agnostic and is supported by just about any device. Fans of the smartphone app particularly appreciate its ability to provide voice and video calling free of charge. For these reasons, Google Hangouts is becoming increasingly popular, particularly among users who are already part of the Google ecosystem, with their contacts and email addresses already set up in Gmail. The app is also popular among businesses with remote teams and competes well agains the likes of Slack. Businesses that use G Suite — Google's premium package of productivity and collaboration tools, software and products — now have access to two discrete Hangouts products, too: Hangouts Chat (for team messaging) and Hangouts Meet (for videoconferencing).